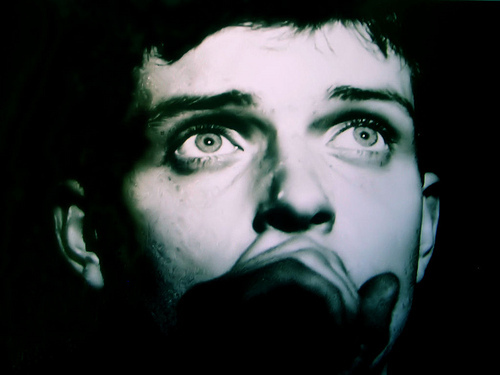 Weekender: Comics, comedians and cover Bands! With NATO in town this weekend, you can expect a fair amount of political theater, from presidents and supreme commanders to protestors alike. But even without that particular incentive, the performance art scene in Chicago is happening! And I mean that literally. Monday afternoon, at Northwestern University, students and staff will recreate Fluids, a historic piece by Fluxus artist Allan Kaprow, the man who also coined the term “happening” to describe artistic performances or situations. Fluids is a giant structure made out of more than 300 blocks of ice, and like all good ephemeral art, it will eventually disappear. But the flurry of performance activity in our area isn’t going anywhere. Roell Schmidt directs the performing arts space Links Hall. She thinks the flourishing scene stems from Chicago’s art schools and a “blurring of form that’s going in a lot of the MFA and undergraduate programs.” So a student studying sculpture still creates objects, but turns to live bodies rather than inanimate forms for her materials. It makes sense that audiences would find this appealing as well. As Schmidt points out, now that sites like Instagram or YouTube, and genres like reality television, have granted all of us permission to be the creators of our own experiences, our expectations that art will engage us in different ways may be increasing. 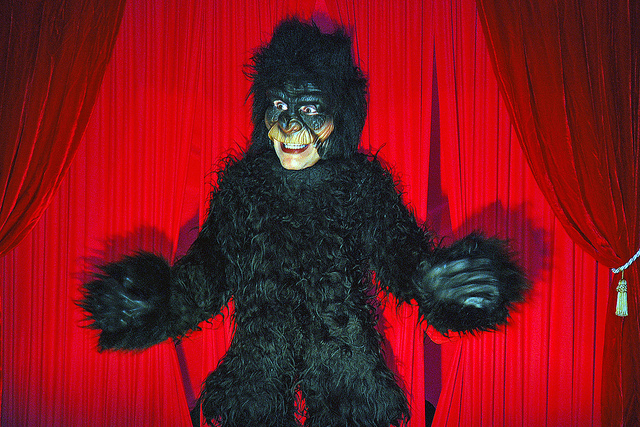 Her colleague, Anna Trier, also sees an emphasis on “human connectivity” in the new generation of performance artists, as well as two different spheres of performance art emerging in the city – sculptural-based work and more choreographed projects, much of the latter heavily influenced by Goat Island, Chicago’s biggest claim to fame in the international world of performance. Trier coordinates the LinkUp residencies and also runs the Happy Collaborationists exhibit space. She&apos;s most excited that “non-performance spaces are now interested in these live events – and are willing to host them as part of their programming.” She points to commercial galleries, but also community-based groups – the Wicker Park Bucktown Chamber of Commerce has just signed off on helping to fund a second year of the live street-art series Out of Site. The new performance space at the Old Town School of Folk Music accommodates non-musical artists as well. As for how the current scene compares to Fluxus or the heyday of American performance art in the &apos;80s, the old may be new again. Marina Abramovic is from that earlier generation but her shows still sell out, including her last performance here, at the Chicago Humanities Festival. And Holly Hughes, who back in the day was one of the NEA 4 denied government funding, curated Links Hall’s performance series Standing Heat, which explores the boundaries between humans and animals. On this episode of Weekender, we also spotlight the work of the young performance collective Husband. The rest of our picks are below – get out there and enjoy! 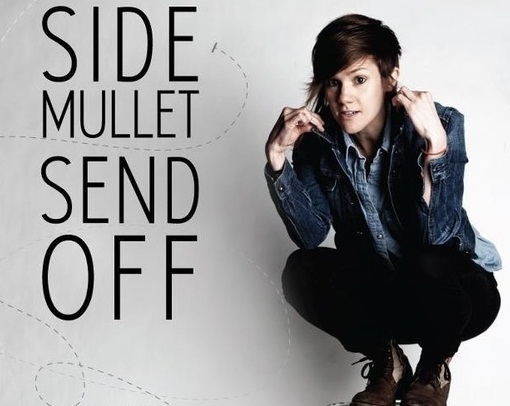 Friday 8:30 & 10:30 p.m.
Local comedian Cameron Esposito says buh-bye! Cynthia Plaster Caster DJs, The Unknown Pleasures cover Joy Division. 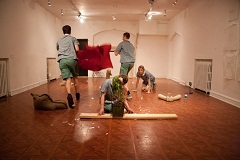 Friday & Saturday 7:30 p.m.
A performance series, including work by local collective Husband. R. Crumb! 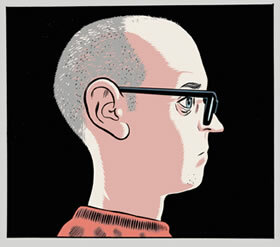 Daniel Clowes! Alison Bechdel! and many more. As promised, here&apos;s that famous quote from The Catcher In The Rye.